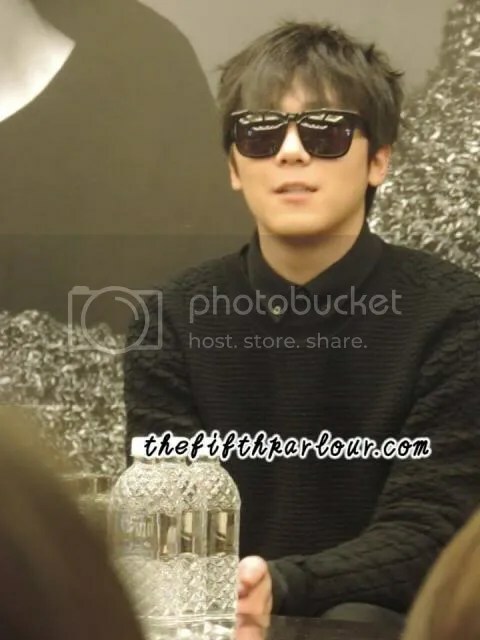 FTISLAND’s press conference started adorably with guitarist Seung Hyun’s awkward self introduction. 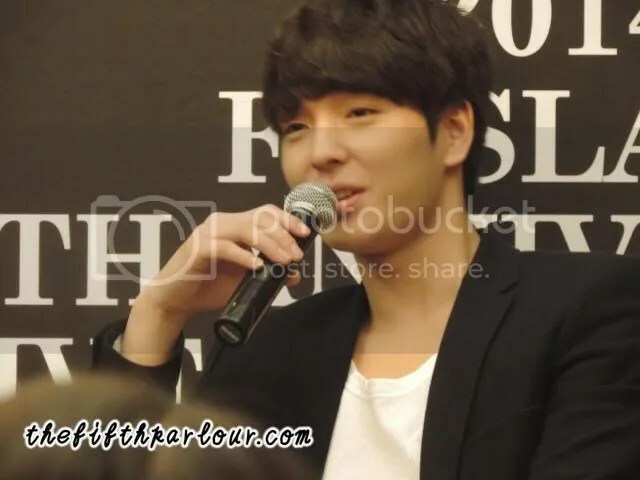 The press conference was held yesterday before the group’s Hi-Touch event at Square 2. FTISLAND, which stands for Five Treasure Island, is a South-Korean boy-band which consists of members Song Seung Hyun (guitar, as mentioned previously), Choi Jong Hun (guitar and keyboard), Lee Jae Jin (bass and vocals), Choi Min Hwan (drums) and Lee Hong Ki (main vocal). 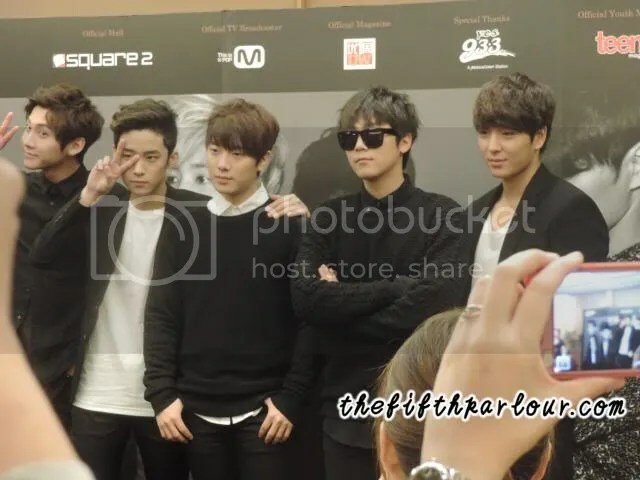 The five boys of FTISLAND are here in Singapore for their anniversary concert, 2014 FTISLAND CONCERT “FTHX” Live in Singapore. The concert is specially dedicated to their fans who have been supporting them throughout the years. They felt thankful for their fans’ existence and will give out their 100 percent in performing for the concert. They said that is the best way that they can repay their fans. Besides that, the concert also celebrates the band’s sixth year in the Korean music scene. Fans will be able to see the band’s growth over the years and witness how they have matured as a band at the concert. It has been two years since the band has been to Singapore. With regards to that, the band said that they feel good and happy being back in the country. They said that they are glad to feel the warmth here. During the press conference, the boys were cheerful and very comfortable. They displayed great attitude while maintaining their cool appearance. Hong Ki is currently starring in an on-going drama, ‘Bride of the Century’. Jae Jin said that he observed Hong Ki was a little awkward in his acting in the first few episodes. He later explained that it was due to his long break in acting and later praised Hong Ki for being able to immerse himself in the role quickly. I guess we’d have to watch the drama to see for ourselves if the leader’s acting was awkward as Jae Jin mentioned! It happened to be Jong Hun’s birthday and a question brought up was if he would show off any part of his body. Jong Hun replied that even though he works out, he is not ready to showcase any of it yet. 2014 FTISLAND CONCERT “FTHX” Live in Singapore will be held at the Singapore Indoor Stadium today at 7PM. Thank you One Production for extending the invitation for FTISLAND FTHX press conference to The Fifth Parlour!